I LOVE designing powder rooms… this is a space which is small.. you’re there for a short time, not a long time and in my opinion, you should have an E X P E R I E N C E every time you go in there and shut the door behind you. This is the only room in your home where your guests get to be ALONE…it is small, so you can splurge.. you are confined, so you can affect the senses with texture, colour and pattern. 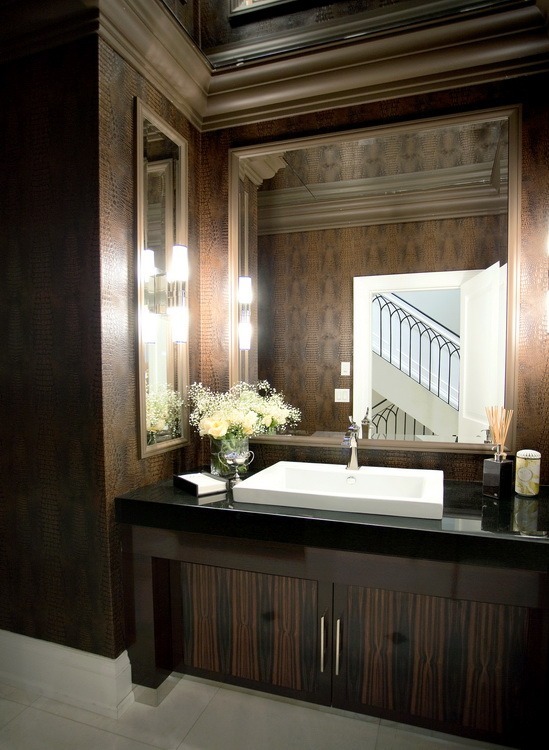 Below is another before and after with my favourite textural expression… grasscloth… this time in a deep and rich mahogany colour… we did a waterfall marble counter with a floating vanity and gold accents… the clients gave me complete free rein here and that really made all the difference in the final product. 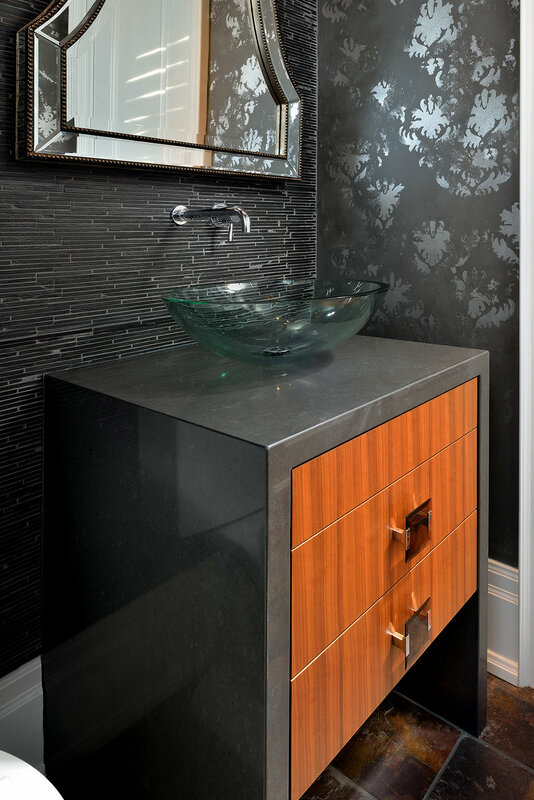 This was a typical powder room in a suburban home… we created a custom vanity, added wallpaper and details which make this space fabulous to visit for a few minutes.. 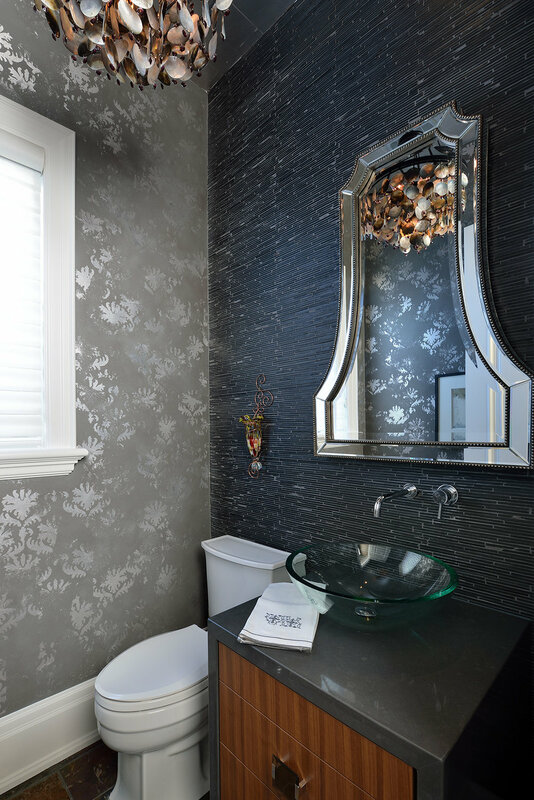 I like wallpaper in a powder room because at any time, you’re so close to the walls, having texture or pattern creates atmosphere and allows the eye to focus on something attractive. This is where you can create a mood and personality.